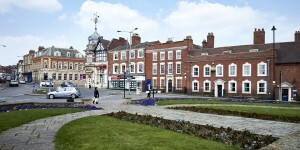 In the Birmingham area of our much loved West Midlands, is the fantastic Royal town of Sutton Coldfield. Ideally located only 7 miles away from the city centre, Sutton as it’s locals call it is home to just under 100,000 people. The title of Sutton Coldfield simply means ‘south town on the edge of the col field’ hinting that this town was once well known for its charcoal industry. The town has played a huge part in history of all ages, and in 2001 it was discovered that the first people to live in the area were here as early as 100 BC! Fast forward to the 21st century and today you will find a wealth of shops and businesses in the town. Sutton inhabits a real diverse range of people from all kinds of background and walks of life but if there is one thing that they have in common it has got to be their love of the town’s much adored sport. Rugby is extremely popular in the town and it is home to two teams, the Spartans and Sutton Coldfield RFC. I have said it many times before but one of my favourite things to do is get together a group of starving sports fans and spoil them with a delicious hog roast feast. Working up an appetite shivering in the cold as you cheer on your favourite much loved team is a really special kind of hunger, one which deserves only the most tasty, moreish food! If you are looking for a catering company to make your post match feast dreams come true then look no further than our team here at Hog Roast Sutton Coldfield. 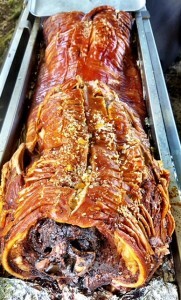 In the catering game, we are experts especially when it comes to spit roasting. With a wealth of experience, our highly skilled and professional staff can cater to just about any kind of event or occasion you have in mind, including weddings, parties and business events. One thing is certain, there is nothing worse than poor catering and hungry guests who are focused more on getting home to fill their tummies than they are enjoying your event. So don’t risk it, get in touch with us here at Hog Roast Sutton Coldfield and provide your guests with five star, quality food that will leave them only wanting more!